The Creeper-602 is a low platform leather creeper. These creepers have an interwoven toe and D-ring lace-up. 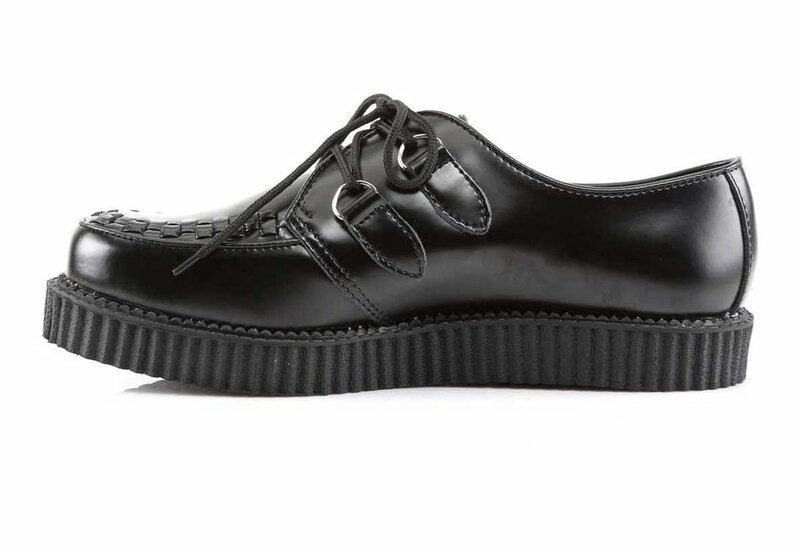 The 1 inch platform is perfect for someone who wants a creeper shoe but not the height.